When is the best time of year to visit Banff National Park and the other areas of the Canadian Rocky Mountains? It’s a difficult question to answer as there’s many factors that need to be considered. What activities interest you and what overall experience do you want from your trip? So how do you decide? It should be easy enough to choose between a winter holiday or warmer one. Keep in mind that the mountain winters are long. Other parts of Canada are celebrating the blooming of spring flowers while the Rocky Mountain parks are still buried in snow into April and even May at higher elevations such as Lake Louise. Do you want to see snow covered mountains or the turquoise coloured lakes? What activities do you enjoy, skiing and other winter sports or backcountry hiking? Are casual walks and easy to moderate trails more your style? As far as hiking, scenery and warmer weather goes many would say the best time to visit is from late June to mid-September. Respectively this time frame has the largest crowds and highest accommodation and air fare prices. Consider a trip during a shoulder season such as mid-September to mid-October when there’s less crowds. It’s a good way to visit Banff on a budget, the accommodation and airfare prices will be somewhat lower compared to the summer months. Rather than choosing which season to visit, it can be easier to decide a time frame based on the activities you want to do. There’s a period for winter activities, warmer weather activities and the transitional time in between the two. Warmer weather activities span from late spring, through summer and into early fall. Winter activities can start in late fall and continue through to early spring. Winter Activities (December To Mid-April) – Starting in early December and through March is the time for skiing, but don’t worry if you are not a skier, there’s plenty of winter activities for non-skiers like snowshoeing, ice skating and sleigh rides. Depending on the snow conditions and temperatures some of these activities continue into the month of April. Ski hills start to open some of their runs in mid-November and remain open until mid-May. Leading up to Christmas and through the New Years holiday it is very busy with high hotel prices. January and February can have bitterly cold temperatures, but there’s lots of fun festivals and events. In March and into April there’s still plenty of snow and less chance of extremely cold temperatures. Mid-April to mid-June is a time of transition when the winter activities have ceased but the summer ones have not yet started. From October to the end of November is when the opposite applies. It’s too early for winter activities and the warmer weather ones have ended. These times are also known as the low season with reduced accommodation and airfare costs. It can be a suitable time if you are just doing general sightseeing, but understand what to expect to avoid disappointment. During April and May higher elevation lakes are still frozen. For example Lake Louise may not fully clear of ice until early to mid-June. Hiking access is limited to the lower valley elevations. The weather can be unpredictable, anything from warmer weather to snow storms is possible. Some areas and roads are not accessible until late spring. Check our section below on seasonal closures. At the end of May/early June you can start to do hiking, horseback riding, canoeing, rafting, fly fishing and golfing. Lower elevation hiking trails start to clear of snow and lakes start to thaw. The paid tourist attractions open for the season. 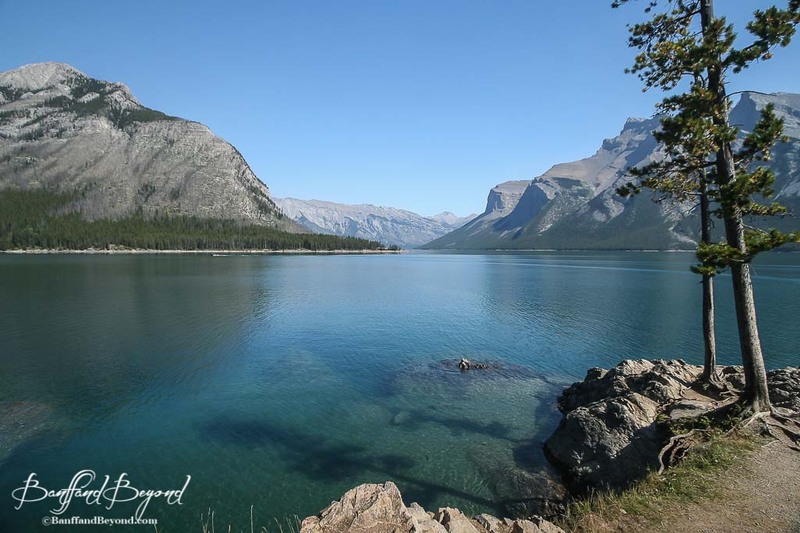 In early June the boat tours start on Lake Minnewanka and Maligne Lake. The majority of the campgrounds start to open in mid to late May. Many of these activities can be enjoyed through September and some of the paid tourist attractions operate until early to mid-October. Keep in mind that June is the wettest month in the Rocky Mountains, with more rain some years than others. The precipitation tends to be in the form of isolated showers, it rarely rains all day. It’s one of the months that you may get to see turquoise coloured lakes with a backdrop of snow covered mountains. Early wildflowers can be seen in the lower elevations and it’s a good time to spot grizzly bears and other wildlife as they feed on the lower valley grasses. The other advantage is the summer crowds have not arrived yet. July and August have the best chance of good weather and warmer temperatures and the best access to all hiking trails. The sub-alpine meadows peak with wildflowers in mid-July and early August. September and early October can be a great time to visit with less crowds, access to the hiking trails is usually still good and the attractions are still open. The yellow colors of the larch and aspen leaves are beautiful in mid to late September. The daytime temperatures are cooler but are great for hiking. Are You Planning To Self Drive? 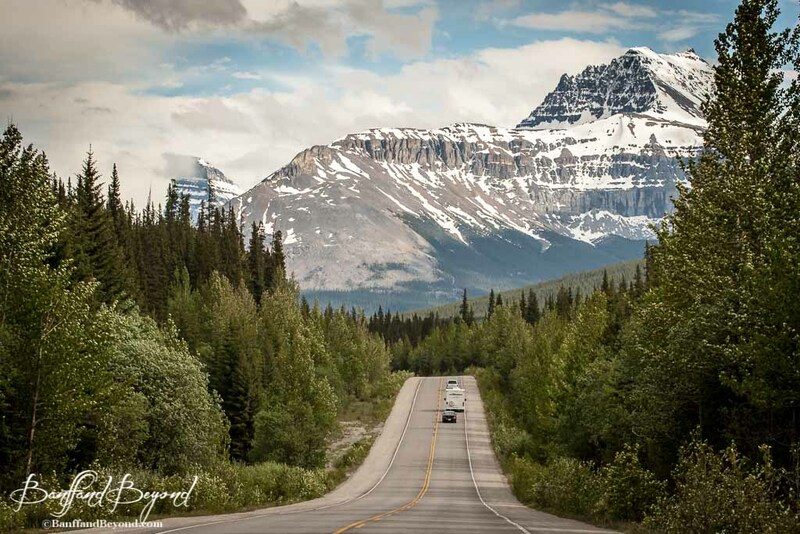 The road conditions throughout the year are something to consider if you are planning to do self touring scenic drives in Banff National Park or any other areas of the Rocky Mountains. There are several road areas that are open in the winter, but are you experienced and comfortable driving in winter conditions? Snowy and or icy road conditions are the norm anytime from November through April and into May in higher elevations. Early snows can occur in September and October. If you want to avoid snow at all it’s best to visit from late June to early September. The amount of daylight hours varies greatly throughout the year and can have a significant influence on your trip. There’s as little as 8 daylight hours in December and as high as 16 hours in late June. Taking advantage of the long daylight hours in the spring and summer allows you to do a lot in one day. The short daylight hours of the fall and winter can have their advantages. If you want to photograph the sunrise you don’t have to get up so early and near dawn there’s a lot of wildlife activity that you have the opportunity to see. Many of these closure times are not fixed dates. The closures and openings are affected by the weather and snow conditions. 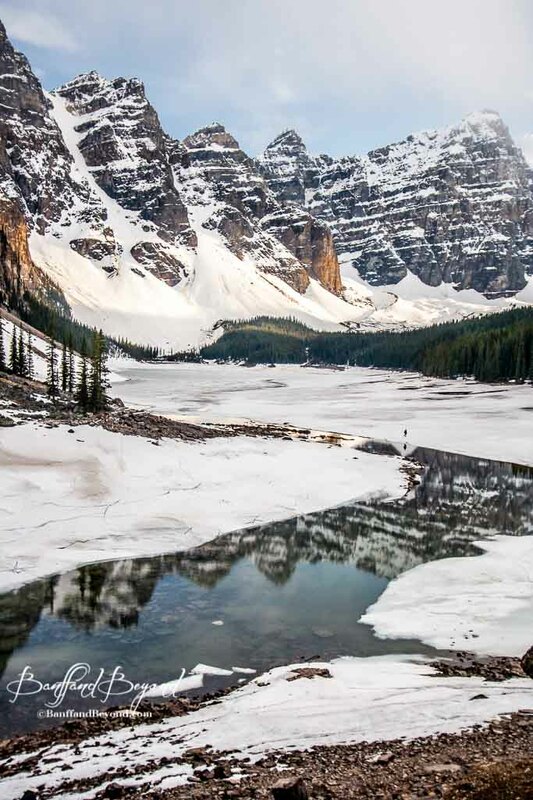 Moraine Lake Road – closed to all vehicle traffic from early to mid-October until mid to late May. 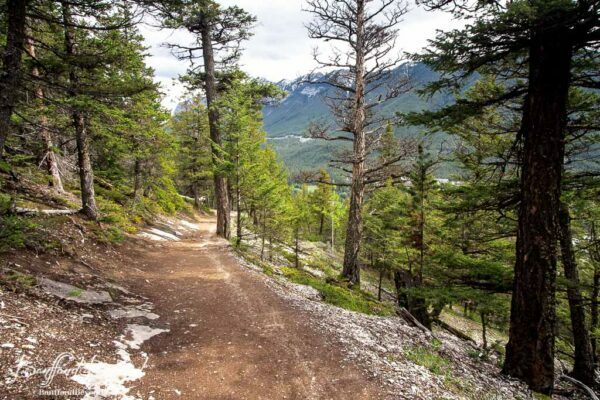 Bow Valley Parkway (Hwy 1A) – March 1st to June 25th no access by vehicles, bicycles or foot is allowed from 8pm to 8am. This applies to the 17km eastern section from the intersection with the Trans Canada Hwy #1 (near the town of Banff) to Johnston Canyon. Lake Minnewanka Loop – the western section of the road is closed from November to May. 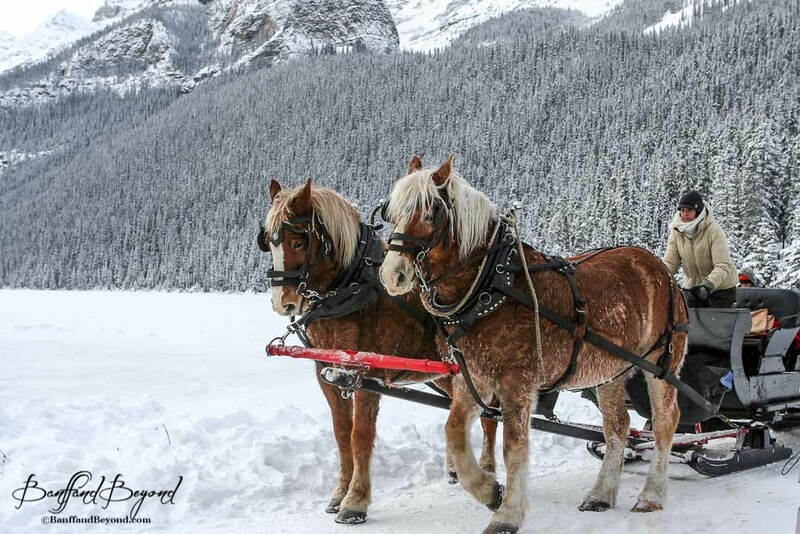 The Icefields Parkway (Hwy 93) is open in the winter but after heavy snowfall or avalanches temporary closures can last for several days. No facilities or fuel are available from November to the end of March and most natural attractions are hard to access. The Ice Explorer onto the Athabasca Glacier closes from mid-October to mid-April. For information see our tips on driving the Icefields Parkway. The Jasper Tramway – Jasper tramway closes near the end of October and opens in late March or early April. The Maligne Lake boat cruise – shuts down in early to mid-October, open again in late May or early June. Miette Hotsprings – closed from mid-October to early May. Maligne Canyon – the canyon is open, but access in the winter months is best with a guide who knows the area and provides ice cleats for your footwear. Mound Edith Cavell – this road access to Angel Glacier and the Cavell Meadows hiking trail is closed from early October to mid-June. The hiking trail is closed until mid-July. Spiral Tunnels – the viewing point 8km’s east of Field on the Trans Canada Hwy is closed from October to April. Yoho Valley Road – this road is the access to Takkakaw Falls, it’s closed from early October to late June. September and early October can be a great time for hiking, often with blue skies and just slightly crisp tempertures. Another advantage is the lack of mosquitoes. The pesky bugs can be a nuisance starting in June, the worst are forested areas and near lakes and wetlands. 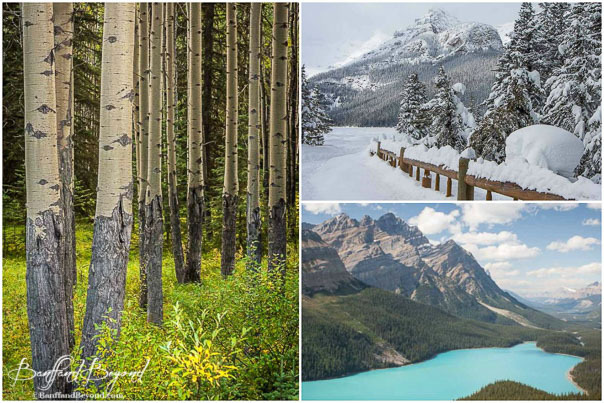 The Rocky Mountain Parks such as Banff, Jasper, Yoho and Kootenay are beautiful to photograph year round. You need to decide what you want to photograph. Is it scenes of landscapes blanketed in snow and frozen waterfalls or images of alpine meadows covered in wildflowers? The turquoise colour of the glacier lakes or the golden yellow colours of the aspen and larch trees? 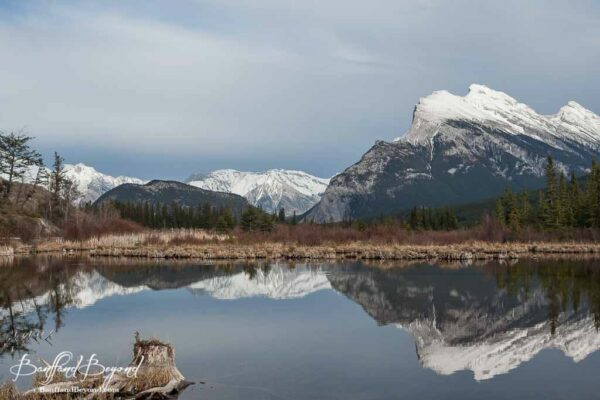 We’ve written a detailed post on where and when to photograph in Banff National Park, but much of the information can be applied to other areas of the Rocky Mountains. When do the Rocky Mountain lakes thaw and get their beautiful turquoise colour? This is a question we get asked over and over as many people come specifically to the Canadian Rockies to see the turquoise coloured lakes that they are famous for. In a nutshell you are going to want to time your visit between late June and early September. Lake Lousie doesn’t usualy thaw until early June, the canoe rentals start once it’s clear of ice. Moraine Lake is a bit later around mid-June. Canoe rentals in the town of Banff for use on the Vermillion Lakes can start much earlier. White water rafting in areas like the Kicking Horse River can be done from May to September. There are various wildlife to be seen all year round in the mountain parks, but some of the most active times are at the beginning of spring and in mid to late autumn. During spring the wildlife concentrates in the lower valley elevations when the grasses start to free of snow in late May and early June. It’s calving season for elk, deer and bighorn sheep. In the autumn there’s large concentrations of elk during the rutting season that occurs from mid-September and into October. October/November is the time when bighorn sheep have head butting competitions. 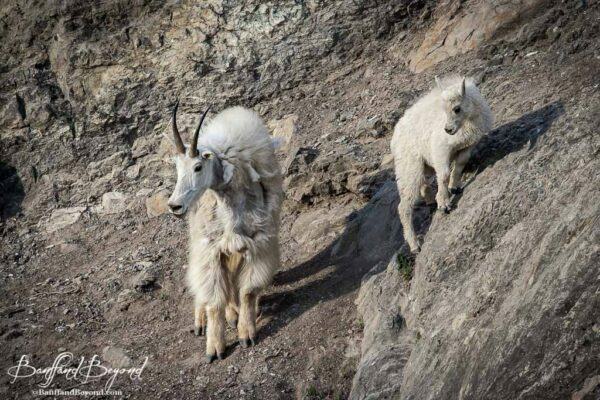 For more detailed information see our post on Rocky Mountain wildlife viewing tips. 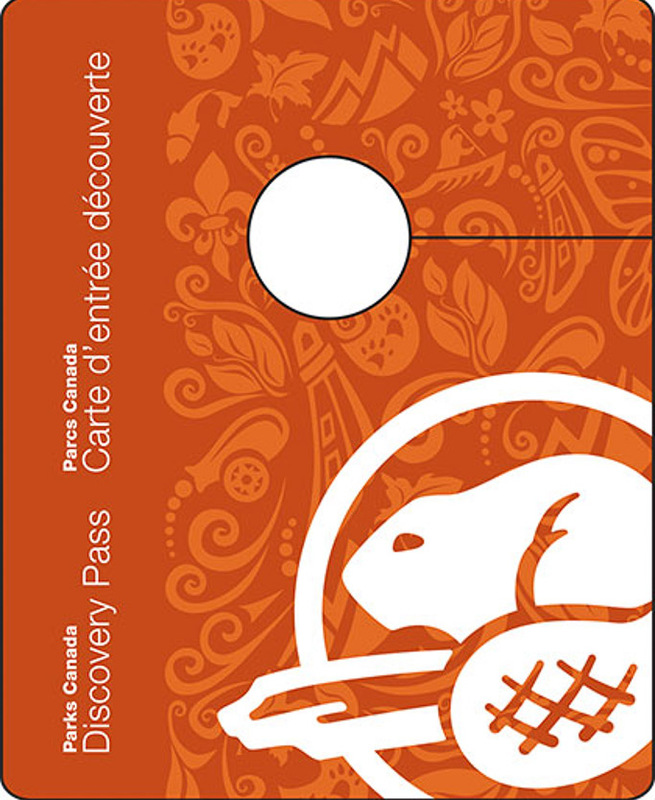 There’s three skiing areas in Banff National Park, Lake Louise, Norquay and Sunshine Village. Resorts start opening up a limited amount of runs as early as mid-November. 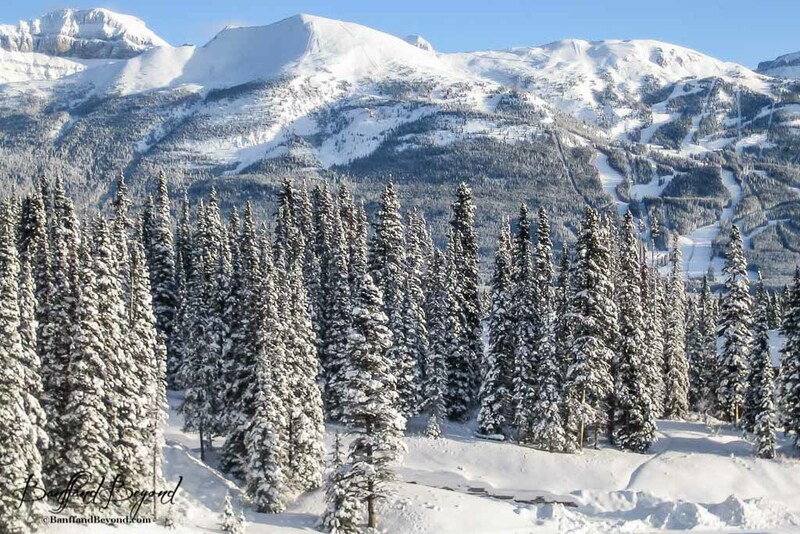 Skiing is usually possible at Jasper’s Marmot basin and Lake Louise until the first week of May and at Banff’s Sunshine village until the third week of May. February to April is considered the peak of ski season. Both January and February can have lots of snow, but bitterly cold temperatures. Into April the slopes can start to get a bit icy. March can be one of the best times to ski, with longer daylight hours, warmer temperatures and good snow conditions. At the end of November/early December the Lake Louise Ski resort hosts the men’s and women’s World Cup downhill and Super-G races. The Christmas season through the New Years holiday is busy and the hotel prices are high. Other busy times on the slopes are the Family Day holiday weekend (3rd Monday of February) and the Easter holiday weekend. In the last half of March or early April the schools in the area get a week long spring break, the time varies by school district. Weekends are busier throughout the ski season, try hitting the slopes Monday through Thursday for more solitude. The Rocky Mountains don’t have the maple trees the brilliant yellow, orange and red colours like other parts of Canada and the U.S.A. They do have aspen and larch trees that display a beautiful golden yellow. The Larch Valley near Lake Louise is one of the most popular places to see the autumn colours. The window of time is small and it can fluctuate by a few weeks each year making it hard to predict. The colours usualy peak in the last week of September/early October. The aspen trees are usually in the height of their colour by mid-September. The trees in the Jasper area have their peak colour a bit later near the beginning weeks of October. May and November are our least favorite times of year, not surprisingly these are some of the least crowded times in the parks. During November the landscape can be a bit uninspiring. The ground may not have snow on it yet and things tend to look a bit drab and brown. May is the tail end of winter and it can try to hang on for a while, some areas are still covered in snow. Other areas can be wet and muddy as things start to thaw out and dry up. See our post on a a taste of Fall Season In Banff National Park. and it’s pretty easy to understand why September and early October is our favorite time of the year. We love the beautiful yellow and gold colours of the larch and aspen trees. The big crowds of the summer have subsided and the daytime can be warm or slightly crisp, but either way the temperatures are perfect for hiking. There’s usually no issue with mosquitoes. As far as the benefits for tourists, the hotel prices although not low they are more favourable than July and August and airfares are generally lower as well. Perhaps you want to time your trip to attend a specific event or a festival. There’s no shortage of seasonal festivals, music, film, wine and food events in the Rocky Mountains. Take a look at the various tourism sites and calendar of events to see what interests you. my compliments for your great site ! Lot’s of useful information. I will be visiting the Canmore/Banff/Jasper area between 2nd of june and 6/6/2016. Was it a hard winter ? 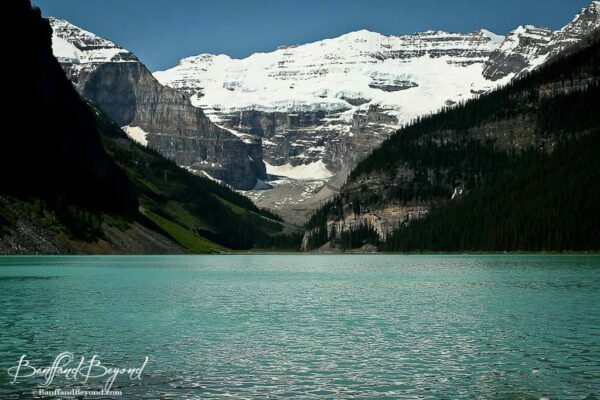 Do you think Lake Louise will still be frozen ? Will there already be many tourists ? There has been some warmer weather this spring, but that can always change. Nothing is predictable about the Rocky Mountain weather. The lake is generally free of ice in the first week of June. If it’s earlier it’s not usually more than a week at most. You can look at the webcam showing the lake and watch the thawing process in the link below, it’s starting now. It’s the one that says shoreline camera. We’ve also written a bunch of articles on the lakes and mountain weather that will give you an idea of how variable it can be, which makes it impossible to make any future predictions. Due to the strong U.S. dollar the area is is seeing an increase in visitors this year, but early June will not be as crowded as July, August and the first half of September. First off, let me congratulate you on putting together a great website. I have visited Banff three times now: twice in August and once in November. With my hectic schedule (full-time work and grad school) and Spring break a month away, I need a quiet getaway and I cannot help but lean towards Banff (I just love the place and cannot get enough of it). Given that my Spring break will be in mid-March (March 13 – 17), what should I expect if I choose to visit Banff? How is the weather in Banff in March? Is it too crowded or is it quiet like in November? I remember when I visited Banff in November, at times, I’d be one of (at the most) 3 to 5 cars on Trans-Canada Highway. I want to recreate that experience where it feels like you have reached the end of the world, surrounded by majestic, snow-covered mountains. November is one of the quietest times of year in Banff. March will not be like that it is prime skiing season. For some info on weather you can see our post here: http://banffandbeyond.com/what-to-expect-for-weather-and-temperatures-in-the-canadian-rocky-mountains/ March usually does not have the severe cold snaps that can occur in November and the weather is generally pleasant, but it is still very much winter. Thanks for the great information. We are planning a trip from 5/25/17 to 5/31/17. 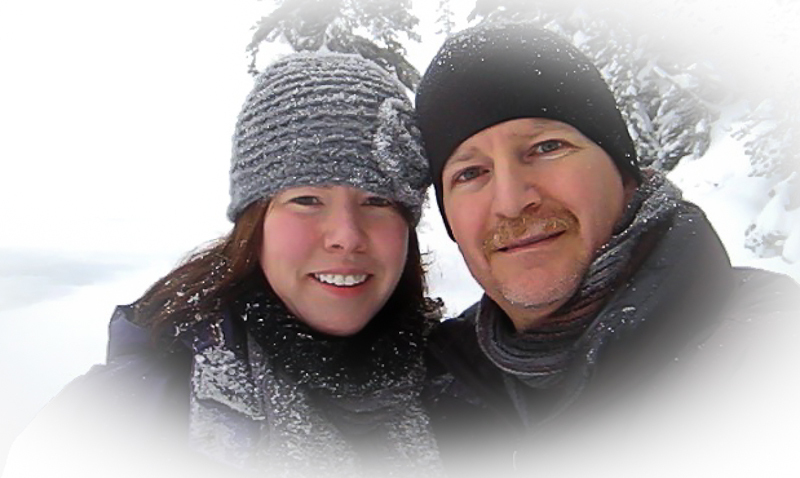 We were hoping to go to Banff NP, Lake Louise and Jasper NP. We will be self-driving. Light hiking, wildlife viewing, photography and sightseeing are the goal. Being drenched and not being able to see the “big” sights would not be optimal. Boat rides would be nice but optional. I notice that May was your “least favorite time to visit”. Can you comment on the last week in May? Unfortunately, dates are not flexible. Thanks! Thanks for the information! Very informative. I was wondering your opinion on going to Banff between May 25-29, 2017. I am planning to go to see the wildlife, hike and enjoy the beauty of Lake Louise and Moraine. Do you think the weather is still to cold to enjoy this? Let me know what you think. Thanks! There’s no way to know what the weather and temperatures will be ahead of time for the end of May, it could be somewhat warm or cold or even snowing. Our article here will give you an idea of the unpredictability of the mountain weather. What to expect for weather and temperatures in the Canadian Rocky Mountains. Hi ! 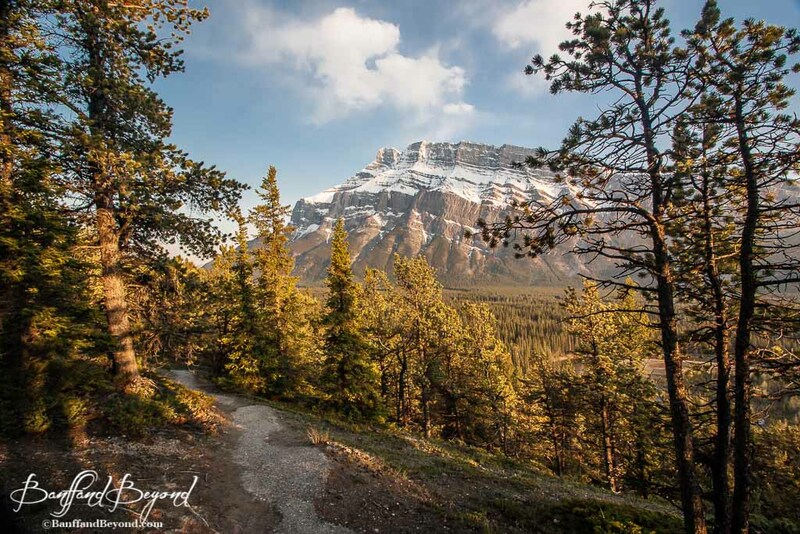 Im planning a vacation in Banff and Jasper on April (6-15 of April) … what can i expect…. or should i better go on other time of the year? Is there nice activities to do ? what should i expect from the lakes will i see them still frozen? Would i be able to canoe? And hike? The following posts on our site will give you and idea of what to expect. Most of the lakes will still be frozen in early to mid-April so you will not be able to canoe and hiking is limited. It’s still more like winter at that time of year in the mountains.